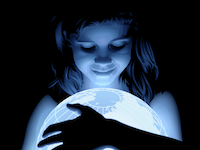 Being connected to all things, we each of us have a direct connection to Universal Mind and all of space and time. Since this connection is within ourselves, the all of space and time is also within ourselves. 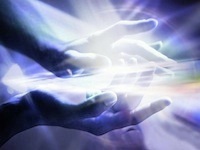 Within this paradigm of "everything being within me" there is no longer any need to heal "out there" only "heal myself". As an Inside Out Energy Healer, the only action for me to take is to focus on healing within me and have my own infusion of emintating out into the world allows other people the option to let go of all thought that causes their suffering. Experiencing the infusion of the Formless Universal Life Energy that the universe is powered from into a physical form is healing within itself and allows resonance to create that experience within your own being. As a living embodiment of the law of one lends to even deeper connections of peace of mind, health and wellbeing. Transferring these formless principles from one person to another requires a new kind of coach, and a new kind of student, because the law of one is formless it cannot be fully imagined using the mind because any intellectualisation creates ideas of form so they can only be felt and experienced. The answers are already within you, you're already swimming in the sea of innate wisdom and guidance and may have not unlocked it until now. Law of One Coaching helps you turn your own key and gain access to the gold that's always been with you. I have personally found that the Law of One helps not only psychological wellbeing; but also goes on to explain why there is no set of mathematics that can describe String Theory, Quantum Theory, and Relativistic Physics together. That is because they are different parts of a larger system. The Law of One helps us understand why they are different and their relationship to all that exists and to each other and puts consciousness back into science in a way that can be understood. As an advanced Psych-K Facilitator I am qualified to perform belief change using muscle testing, life bonding integration, core belief balance, rapport enhancement, relationship balance & energy focusing. And as a Divine Psych-K Facilitator I am qualified to present the gift of divinity which is sourced from within the self that the spiritual teachers have described for centuries. 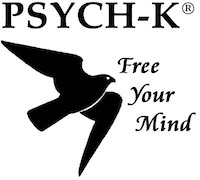 ​My personal experience of my journey using psych-k has been creating even greater depths of rapport between my personal-mind, body and spirit to create change faster and find it helpful in my daily life. Psych-k can help quickly shift stuck thinking and create more options, as well as getting divine guidance about your situation.